Wow, lots of talk on Dragon Quest localizations at PAX Prime this week. It really sounds like people are hungry for this series to be supported again, Square Enix… Do we have to spell it out in bold? How thick do we have to lay it on? While Square Enix sees the further of the franchise on smartphones and questions whether or not Dragon Quest VII will be localized into English, one small bit of good news did escape from the convention halls. The spin-off Rocket Slime games could be given a second chance in North America! Speaking with Siliconera, Dragon Quest Mobile Producer Noriyoshi Fujimoto and Executive Producer Yuu Miyake expressed shock at the popularity of the spin-offs in the West, and how Dragon Quest Heroes: Rocket Slime, the sole entry released stateside, shattered their intended demographics. "You know, it's funny, when we made Rocket Slime, we were targeting the game towards 8, 9, and 10-year-olds in Japan—but in the west, the average age of the person who bought Rocket Slime was 25! It seems like the grown-ups enjoyed the game and we were pleasantly surprised." So these games were made for children, and yet they are still enjoyed by adults who must now be in their 30s, given the only one released in America was localized eight years ago! While it certainly didn't light up the charts, fans fell in love with Dragon Quest Heroes: Rocket Slime's charming cast, goofy slime puns, and of course… Slime Tank Battles! A video doesn't do these things justice. You simply haven't lived if you've gotten to this point without participating in a Slime Tank Battle. 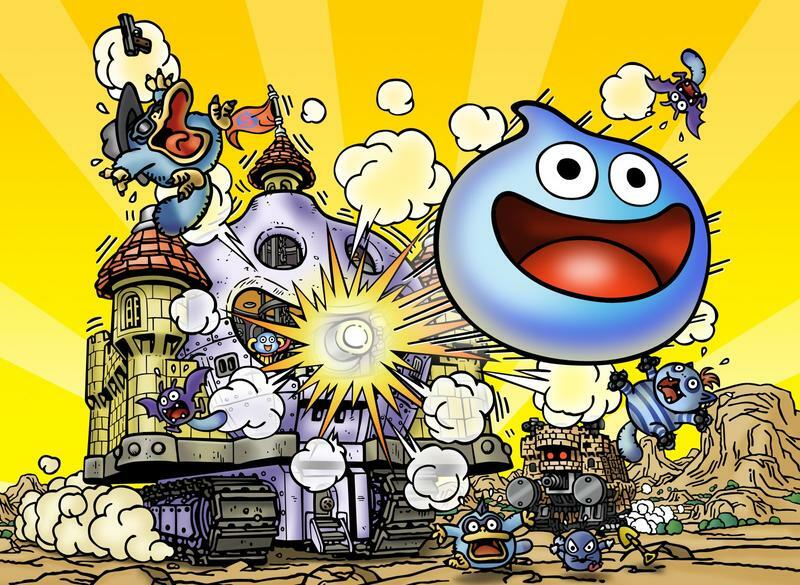 Dragon Quest Heroes: Rocket Slime was released in 2006, and I am grateful that happened. However, this leaves two games unlocalized in English, the first game for the Game Boy Advance and a more recent Nintendo 3DS game, which trades in tanks for boats. Yes, boats. Where do you think Assassin's Creed got the idea from? I think the inspiration is a little more than obvious. I mean, they even have pirates! It's this third Nintendo 3DS game, known as Slime MoriMori Dragon Quest 3: The Great Pirate Ship and Tails Troupe in Japan, that Square Enix might consider localizing seeing how often it is requested and how easy of a translation it might prove to be. "In terms of the Rocket Slime game… in Japan, there wasn't a lot of feedback saying they wanted iteration, but in the western regions, especially North America, there are a lot of requests to see another Rocket Slime game. We're curious to know, there are a lot of joking elements in it; did you enjoy the humor and the joke elements in it?" Oh, it's so hilarious. Siliconera agreed and pushed for more on a localization in English. "In Japan, we actually have a total of three titles in the Rocket Slime series. The western version was the second game. Compared to, say, a game like Dragon Quest VII, it's less text to translate, so that's not an impossible amount… so if [Rocket Slime 1] or [Rocket Slime 3] might be a great candidate…?" If Rocket Slime 3 were to be released in America, then I am all aboard as a day one purchase. However, if it must be done at the sacrifice of Dragon Quest VII or Dragon Quest X, then I would have to decline. But wow, I've never seen that trailer before, it is something else! The Statue of Liberty coming to life? I didn't realize Dragon Quest took place in our universe.